Did you know that Melbourne isn’t the coolest city in the country? We’ve been keeping quiet over here in the west, but now we’re letting the cat out of the bag—Perth is the actual best (especially in summer) and we’re ready to share it with you. Home to the third largest fringe festival in the world, some of the best beaches on the planet and a delicious and ever-evolving food and drink scene, the world’s most isolated city is without a doubt Australia’s best kept secret. So what are you waiting for? Come join us where the sun shines! 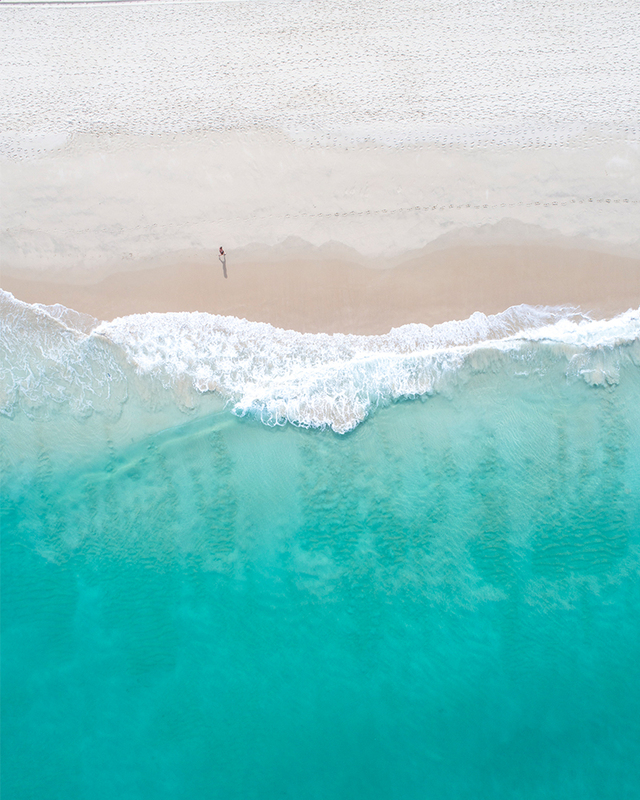 You’ve probably heard about Perth’s beaches, and that’s for a good reason, they’re quite likely the best in Australia (if not the world). Cottesloe and Scarborough are probably the most well known, but if you want to experience the local faves, here are 10 of the best secret beaches to enjoy while you’re here. Perth CBD might be small, but it sure is mighty! Take a stroll through Elizabeth Quay with a gelato from Gusto—we’d go as far to say this stuff is even better than Messina—in hand before making your way up Barrack Street, passing the Bell Tower and State Buildings on your way. Explore the Hay and Murray Street malls, resting your legs with a flick in the cool confines of the newly opened Palace Cinemas at Raine Square. Once the credits are rolling get out and enjoy the sunshine at Yagan Square (checking out the Market Hall along the way) before finishing up at Market Grounds for a drink. If you’re into your street art, here’s something we prepared earlier. You haven’t been to WA without snapping a selfie with a Quokka and the only place to do that is Rottnest Island. The Rottnest Express will get you to the island in as little as 25 minutes (departing from Fremantle) and there is P-L-E-N-T-Y to explore while you’re there. Accommodation at Rotto books out pretty far in advance, but you can see most of the sights in a day trip. Hire a bike and cycle the island, taking in the most Insta-worthy spots along the way. January, February and March are the most happening months in P-town thanks to the incredible Fringe World Festival and Perth Festival. It’s also the best time to visit if you love 30-plus degree days. Perth Festival has been running for 65 years and each year gets bigger and better, while Fringe World is the third largest fringe festival in the world—both will have you questioning why you’ve never visited Perth before. To make the most of everything, the best time to visit is between 8 and 17 February when Perth Festival and Fringe intersect in what the local's know as Feb Fever. One of the largest city parks in the world, it may surprise visitors that Kings Park is bigger than New York’s Central Park (and boasts even better views in our humble opinion). There’s no shortage of walks, picnic areas and gorgeous views to enjoy. Here’s a comprehensive guide. Perched above William Street in Northbridge (aka the gritty, cool side to the city), The Alex boasts a rooftop garden, honesty bar, trendy rooms and some of the best breakfast muffins we’ve had the pleasure of devouring. Downstairs and around the corner Shadow Wine Bar has you covered for cocktail hour and you don’t have to stumble too far to find some of Perth’s best eats this side of Yagan Square. If you’ve got cash to splash COMO The Treasury in the CBD is the place to do it. Not only is the precinct home to some incredible restaurants (hello Wildflower, Petition, Post and Long Chim), the hotel packs a spa, gym, pool, library and suite of lavish rooms into one of Perth’s most beautiful historic buildings. 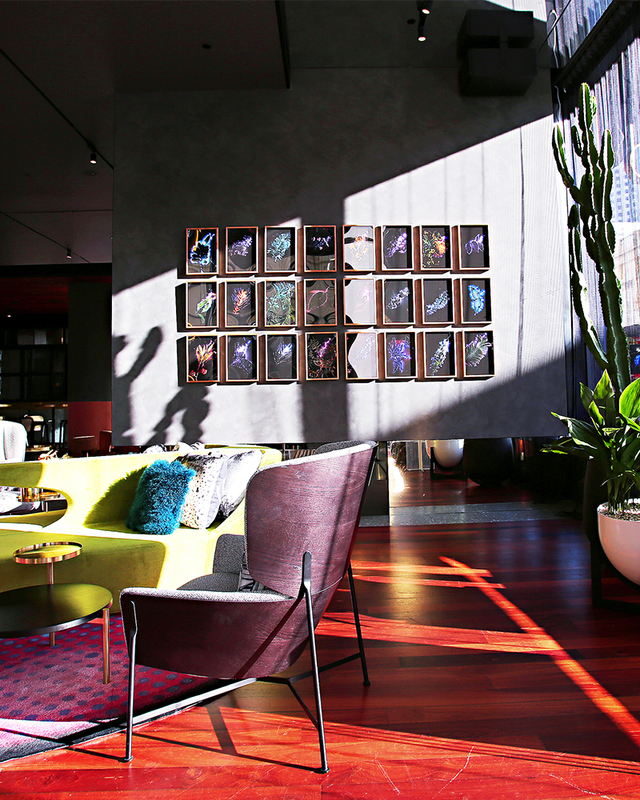 Another CBD gem, QT Perth’s rooms are so comfy you won’t want to leave. But you definitely should because the goodies of Hibernian Place, Elizabeth Quay and the stunning Swan River are too good to miss. Be sure to nab a room with a free standing tub so you can soak away the aches and pains from gallivanting around the city all day. No trip to Perth is complete without stopping by Fremantle, and when you’re there the Hougoumont is where you want to rest your head. The boutique hotel is a stone’s throw from the famed Cappuccino Strip, Fremantle Markets and all of the amazing restaurants and bars the port city is known for. 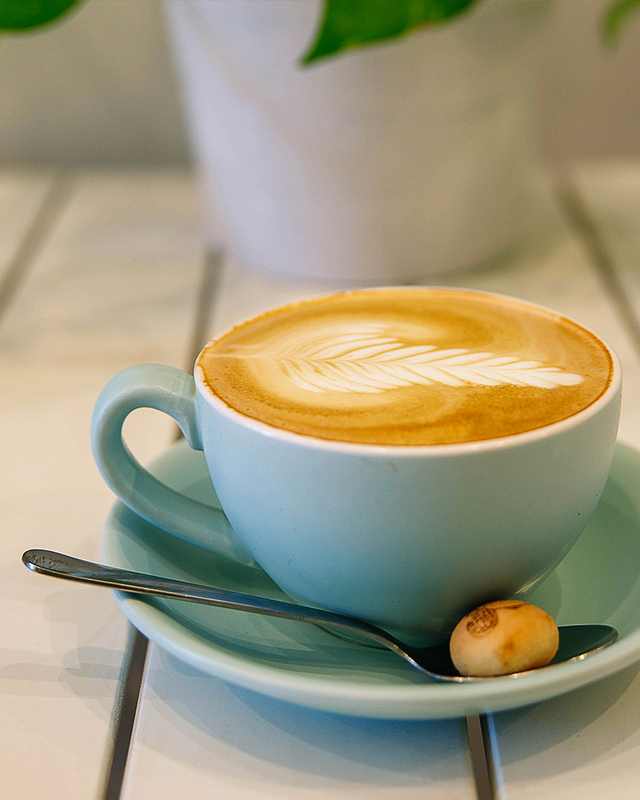 Close to three of our favourite Perth restaurants (we’re looking at you Garum, Hadiqa and Arthur & Co), some of the best coffee in town (ahem, Offshoot) and in the same dang building as one of Perth’s most relaxing day spas, it would be rude not to book yourself into The Westin in the CBD. River views? Check! In room bar cart? Check! King-sized bed? Check! Tradewinds in East Fremantle has everything discerning holiday-goers could ever desire. Whip up an espresso martini in your room before heading down to the pool deck and enjoying unique views of the Swan. Fuelling our daily coffee addiction (for real), it’s pretty much impossible to visit Eillo and not walk out with something from their adorable homewares collection. Plus, Eillo’s coffees are some of the cheapest and most delicious in Perth - if you could pack them in your suitcase, you would. It’s worth the trip out to the ‘burbs for the smooth coffee they’re serving at Someday Coffee Co. If you’re lucky to nab a table, order some pimped up toast or Mexican beans as you wait for the caffeine to kick in. While you’re in the area check out Bold Park for views of the city and sea, before making your way down to City Beach for a dip. You’re never too far from a Mary Street Bakery if you’re hanging around the CBD, with two locations in the city, one in West Leederville and one in Highgate. We’ve got a soft spot for the Highgate bakery, being the very first location, but they all serve their highly regarded coffee and scrumptious doughnuts just the same. Often jam packed with coffee addicts, Fremantle’s Gesha Coffee Co roasts their own beans and serves a whole lot of delish eats. Definitely the best way to start your day in Freo. Coffee addict? Us too! Here’s where to find some more of our fave brews in town. Nestled above Hibernian Place in the CBDs East End, Hadiqa’s Middle Eastern inspired menu (and Instagramable interior) is not to be missed. Kick off with a Turkish Delight Martini and opt for the Diffa—AKA the “mother of all feasts”—to ensure you’re eating the best of the best dishes. With a menu celebrating the six Noongar seasons, Wildflower sits atop COMO The Treasury with views over the Swan River. The five-course tasting menu makes for the ultimate degustation experience when paired with sommelier matched wines. Expect plenty of native ingredients like baby pigface (an edible succulent), abalone, rosella, saltbush and Geraldton wax. If you’re looking for a quick (but filling) bite to eat, Mack Daddy’s New York Slice is the place to go. Their 22-inch pizzas are sold by the slice and in the round and every last bite is heaven. Once your food baby is happy, walk it off along Beaufort Street and check out the Mount Lawley sights. Housed in one of Fremantle’s oldest buildings, Stable Hands serves contemporary Mediterranean fare that your taste buds won’t forget. The beetroot tarte tatin and carrot pot de crème cacao are must tries. You can’t pass up a post-dinner coffee either, it’s next level. Firmly entrenched in the hip William Street gang, the uber-cool Bivouac serves up delicious Mediterranean-style fare that is perfect for sharing and always hits the spot. Open from lunch until late every day from Tuesday through Saturday, this Northbridge restaurant also doubles as a gallery showcasing the work of local artists on the walls. Still hungry? We’ll give you the hot tip on the best eats here. Make yourself one with the Perth city skyline at Rooftop At QT. The industrial chic bar serves amazing cocktails, refreshing spritzes, loads of WA wines and beers as well as just about any variety of gin you desire, plus rum, whiskey and tequila. Open until late every night of the week, definitely stop by to watch the sunset. We haven’t yet found a box that The Standard in Northbridge doesn’t tick. It’s a bar, with a rooftop and an incredible food and drink offering running the gauntlet from bar snacks to more substantial fare. 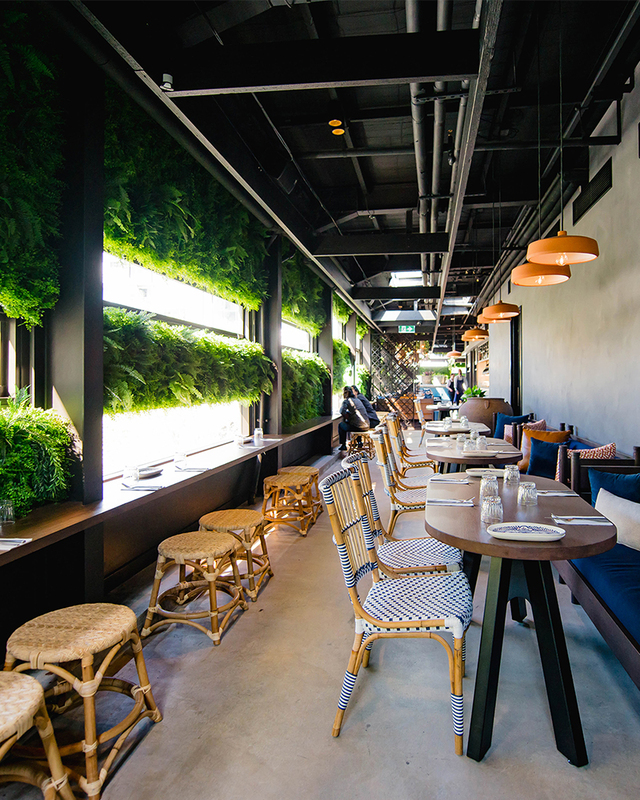 There’s also a gorgeous wine garden out the back which makes for the perfect spot to bask in the west coast sunshine, vino in hand. A fave with the locals, Strange Company serves wine on tap that keeps us all coming back. The small Fremantle bar also has a pretty hefty bar menu. We recommend kicking things off with a local drop and all of the meats and cheese. An absolute jewel of King Street, Varnish on King has successfully transplanted an American Whiskey bar into Perth’s CBD. Descend into this chic basement bar to get your hands on an epic selection of bourbon and whiskey as well as some drool-worthy food. Their whiskey and bacon flights are legendary. Perth’s first natural wine bar and shop, Wines of While is lodged in a quiet spot at the north end of William Street in Northbridge. 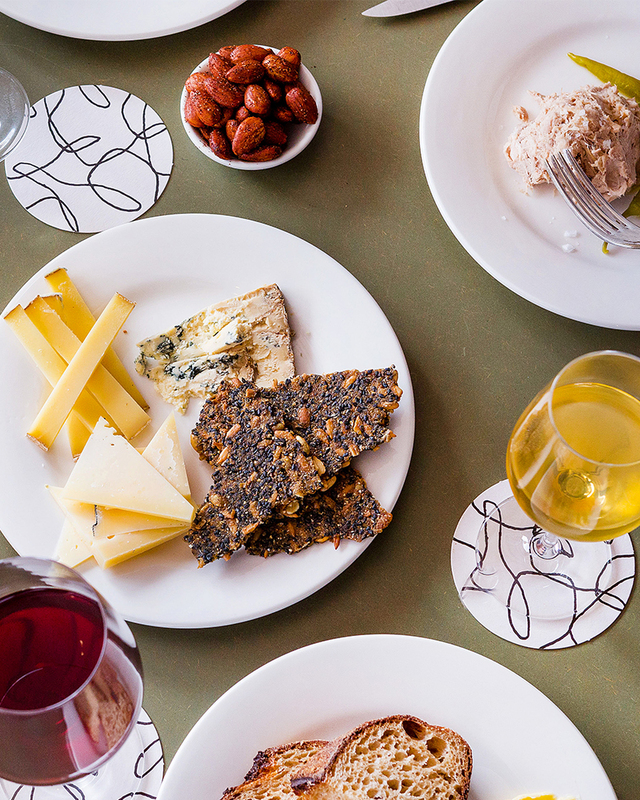 Offering up takeaway and dine in prices on an impressive selection of natural wines from all over the world, this is one wine bar where you can enjoy first class wine without the pretention—the fit-out is casual, the staff welcoming, and the vibe distinctly communal. Ready for another round? Here’s where to find some of our favourite cocktails. Tucked away in an old warehouse in leafy East Perth, it’s a little too easy to spend your money at Arrival Hall. Inspired by a passion for travel and the excitement of uncovering beautiful design, Arrival Hall has one of the most expertly curated selections of furniture, gifts and homewares we’ve had the pleasure of perusing in Perth, and just about anywhere to be honest. 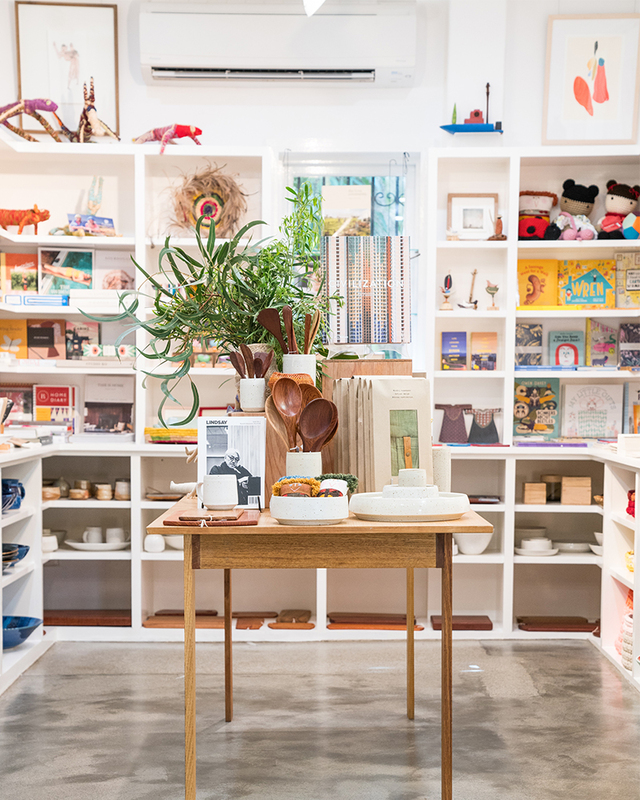 Home to the biggest collection of WA-made goods by local artists and makers, the shelves at FOUND are bursting with beautiful ceramics, woodwork, jewellery, books, fashion, prints, textiles and gifts, with each being incredible artworks in their own form. Tucked into the Fremantle Arts Centre, this place will have you soaking up the glorious Freo atmosphere as you shop. The very gorgeous Periscope boutique in Northbridge is an independently owned boutique, housing local and international designer labels, including clothing, accessories, shoes, and bags. Home to one of our fave local labels, Hickey Hardware, we hope you left some room in your suitcase! Sue Lewis has achieved legendary status with Perth locals so a visit to her glorious chocolate shop in the State Buildings is a must while you’re on the west side. Her delectable, handmade chocolates are almost too beautiful to eat…almost. Established in 1987, the Fremantle Markets are open from Friday to Sunday each week and are equally loved by locals and tourists alike. Stock up on some of the best local produce, peruse the beautiful handmade gifts and homewares, grab a gooey cookie from Get Chunky and enjoy the show that the buskers put on. More money to spend? Check out some of Perth’s best homewares shops. The Premier Mill Hotel’s backstory is equally as impressive as its beautiful confines, and it’s really put Katanning on the map for those looking for a whole lot of luxury. A three-hour drive through the countryside, Katanning makes for a great hub to start exploring the great southern region of WA. Albany and Denmark are a two and a bit hour drive away and Bremer Bay is just a little bit further. The incredible Stirling Ranges and PUBLIC Silo Trail are a must if you’re in this neck of the woods. The south west region (AKA Down South to the locals) is an absolute must if you’ve got a few days up your sleeve. There’s no shortage of wineries and breweries to enjoy, beaches to check out, caffeine haunts to visit and caves to explore. Find some lodging in Dunsborough, Margaret River or Augusta and enjoy the many spoils of the region (read: wine and cheese). Or, check out some other great under the radar getaways. Editor's Note: This article was produced in partnership with Tourism WA. To find out more about who we work with (and why! ), read our editorial policy here.